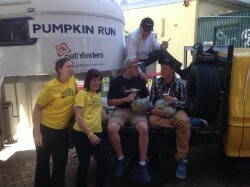 In its second year, Pathfinders Pumpkin Run has returned from Sydney having fed hundreds of homeless and the disadvantaged with their 4 tonne of pumpkins grown on Tilbuster Station in Armidale. The success of this delivery is made by the partnerships they have developed with other community organisations across New South Wales. 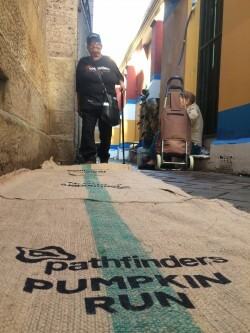 The pumpkin run in 2014 was received so well in Sydney we decided to plant more pumpkins this summer at our farm Tilbuster Station in Armidale. The weather was kind to us, so we yielded nearly 4 tonne of pumpkins and decided early that we could expand our generosity by also stopping in Tamworth and Newcastle to cook soup and deliver pumpkins to those in need. We held our pumpkin run to coincide with Youth Homelessness Matters week. Our dedicated staff, young people and volunteers ban together to muster up resources to make it happen. The Friday before we left Armidale there were over 50 staff, volunteers and young people picking pumpkins and loading them into a staff members gooseneck trailer. The gooseneck, a ute and bus left Tilbuster Station on Monday morning loaded with the pumpkins, 8 staff and 8 young people all ready and willing to share the generosity of our pumpkins with the wider community. 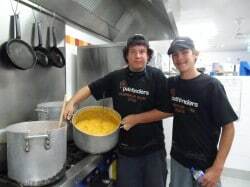 In Tamworth, we stopped at our office on Bridge Street and with the assistance of the Tamworth Meals on Wheels service who prepared and cooked the soup for us, we were able to feed and deliver pumpkins to shelters, refuges and other community services. Our next stop was Newcastle, where cutting up our pumpkins and cooking started early at the Salvation Army Oasis Hunter in Newcastle. Our friends from OzHarvest, Rydon and Allambie Youth Services came to lend a hand to deliver pumpkins to other services across the Hunter. 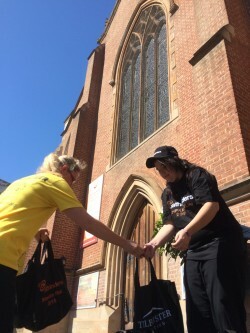 Exhausted, but excited by knowing we were making a difference, we travelled to Sydney where OzHarvest (the only food rescue organisation in Australia collecting quality excess food from commercial outlets and delivering it, direct and free of charge) embraced the 2015 Pumpkin Run and generously offered the use of its commercial kitchen and staff to work with Pathfinders to make and distribute the soup. 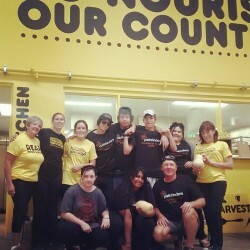 We took the soup and pumpkins to Newtown Mission where we fed hundreds of homeless and disadvantaged and with the assistance of OzHarvest delivered pumpkins to many inner city refuges and community organisations. The partnerships Pathfinders developed with other organisations over these three days are extremely valuable, as well as our young people experiencing the opportunity to help others, particularly homeless and vulnerable youth. They recognise that there are others who are less fortunate than themselves, who don’t have access to the benefits that Tilbuster Station provides. For our staff and direct care workers it is great to be part of an innovative and dynamic team who are not afraid to go the extra mile to raise awareness of community issues that impact on so many people. 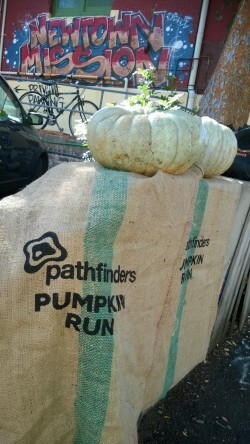 Pathfinders wishes to thank our volunteers, staff, young people, partners and community organisations for their assistance in making the 2015 Pumpkin Run a resounding success. Bring on 2016!